Stepan Company's MAKON UD-Series can be used to formulate a wide variety of products including degreasers, hard surface cleaners, industrial and institutional (I&I) laundry and other functional applications. These C11 branched alcohol ethoxylates are very effective wetting agents, demonstrate fast foam decay and are easy to handle. 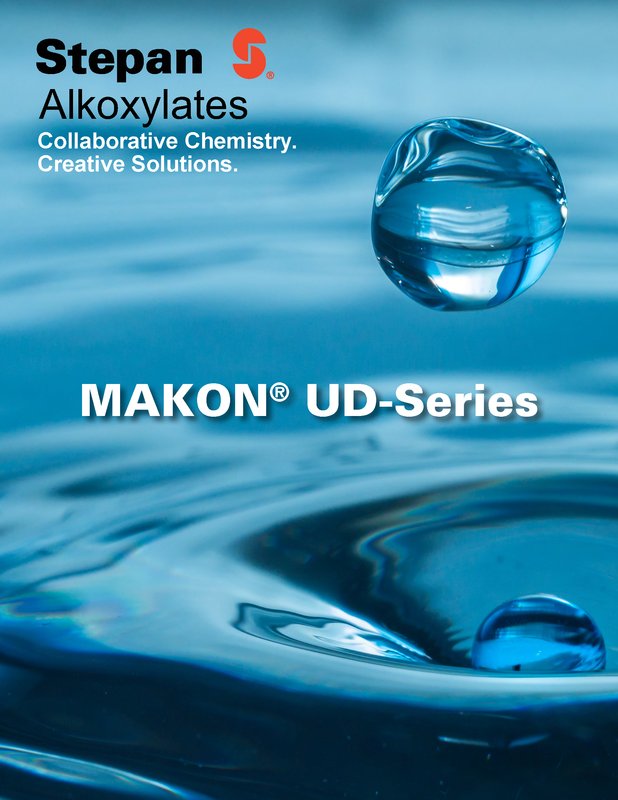 Get details on the MAKON UD-Series of products by downloading our new brochure. Learn about typical properties, rapid wetting, ease of use, foam profile, heavy duty degreasing, solubility, application guidance and more. Don't forget to also visit alkoxylates.stepan.com to see Stepan's broad nonionic portfolio and get to know our dedicated alkoxylates team who look forward to helping you meet your formulation challenges.